Come hangout with your friends and compete for the title of “Chocolate Champion” while loading up on sweet treats! 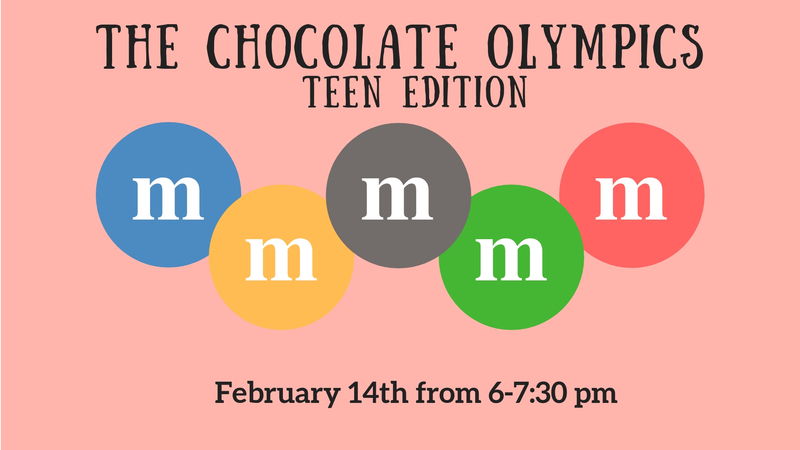 Teens will compete in games like Candy Relay and Chocolate Trivia! This event is for 7th-12th graders.